Biospectator is a blogging site that simply shares ideas about having a better perspective and value of life. I was surprised to know that Biospectator was linked to my FB account. I clicked it and came to know that it was a newly created blog by our youngest son, Gilbor Junior, 25. I never thought that he would develop a passion for writing. I know that he is a versatile fellow with a lot of talents to show. But writing is not very obvious. Though he knows that I'm a writer, a journalist, a columnist, now a blogger, but he doesn't manifest of getting to writing seriously. "Good Results? Think First!" was his first written article in Biospectator. He expresses his thoughts on what determines the future practically. Thus, he points out, "Shaping up ourselves today plays a vital role for our future." His first article is written in 300 words, an ideal blog writeup for that matter. "This is the best initial blog so far I read as a novice or newbie blogger. Your thoughts just freely go down in print. You've the well-directed insight to achieve things. You're putting on the actual situation of your readers on how they could successfully achieve their goals in life. I subscribe to your idea. I know when you keep on writing and writing, your writing skill will be developed and many will be influenced for good. Keep it up. Keep on blogging. Godspeed!" Tess Torrecampo-Chancellor of "Blog and Me" has left a comment too, saying, "Like father like son. Writing is in your blood so keep it up and I hope to read more of your articles." Just a matter of 4 days, he had already written 5 articles: "Good Results? Think First! ", "Counting Coins", "Swearing To Compromise", "No Effort Is Wasted", and "This Thing Is Mine". Just like me, he is a reserved type of a man. Once he has started something to work on, he won't stop until that project is completed. Toto Jun, as we fondly called him, could be a prolific writer/blogger someday. You must be really proud of your son sir Gil! Congrats to you and your wife for raising a very well rounded individual! Ah,what else can I say? You raised good and talented children.Parents plays an important roles on the childs growing up years .We inspires them ,we molds them.We as parents plays an important role on their lives .It is us who makes or breaks them and you and wifey did an excellent job. I wish I have a father who treated his son with very much love. HAHA Drama. Like father like son talaga. Impressive. Amazing to see your own son turn out to be a blogger like yourself. writing and the interests for it runs in the family where the role models are showing good and laudable traits of writing and reading. I will not be surprised for your son to follow your footsteps sir Gil. He deserves to be where he is presently right now and I wish him luck in his endeavors. It boils down to interest and determination. When you know in yourself what you want exactly , there's no doubt you can make it happen. To Gilbor: Congratulations and welcome to blog land! It runs in the blood Sir. I'm sure he will be successful as you if not more in the future. You're a proud papa I can feel. Mazal Tov to his blog and I'm waiting for more articles/posts from him. 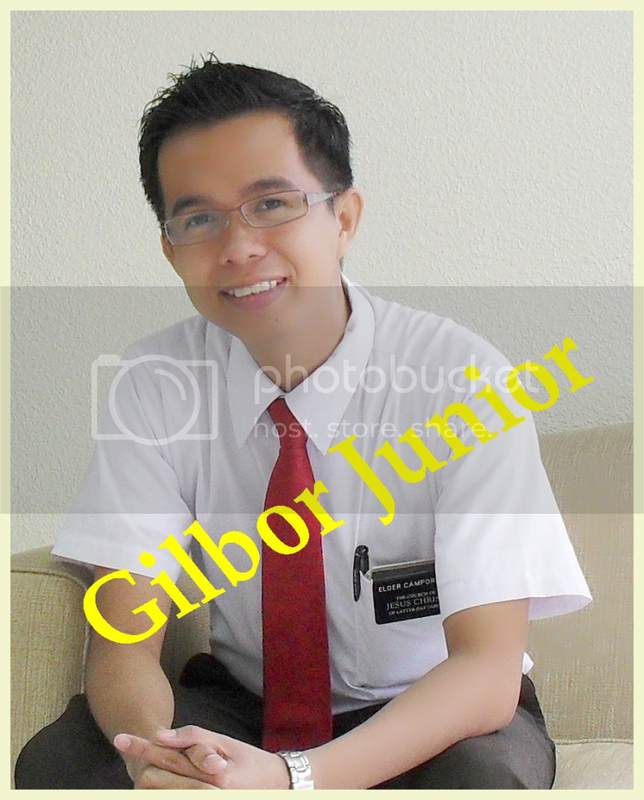 congrats po for having a successor :) To Gilbor Junior - welcome to the world of blogging! Being talented is not congenital although it can be inherited. We are all born with innate talents though some are unlucky, their talents failed to be developed and harnessed to good use. Gil's son was very lucky to inherit immense talent that got nurtured as it now shows. You know what Sir Gil I am inspired to learn and write by young Filipino writers from Young Blood its an article in Manila Bulletin way back in 2000. Then a friend introduce this blogging to me last year. Now, I can write 1-2 article in one day. Yesterday I recieve my first offer in SocialSpark to write at lest 200 words for their advertisers. I accept the job and I was pleased that my post has been approved by the advertisers. And my grammar is improving. Hopefully I can be as good as you. Your Gilbor will be successful of his choosen career. Writing is definitely in your genes. It is a great tribute. Let your kind increase. Sir Gil, I'm very impressed in your post message po. I'm glad you also give time to respond in my bloggers slambook. I will always visit your blog Sir, expect this on me. I'm also glad to be your good friend blogger. Don't worry. I'm also visiting other blogger's site. In fact, I once in awhile browsing your slambook page. I've never found my contribution there. It's okay for I know you're moderating what is best and suited for your slambook page.